Hello everyone hope you are well. Wearing shirt backwards is a huge trend this year and we have seen many pulled it off quite well. But it is not the most practical or comfy outfit to carry along. So I was looking for a backward shirt trend inspired dress for some time now but couldn't find any. That was until I finally found this lovely dress from SHEIN. SHEIN is an online store offering high quality clothes and other fashion items at affordable prices. 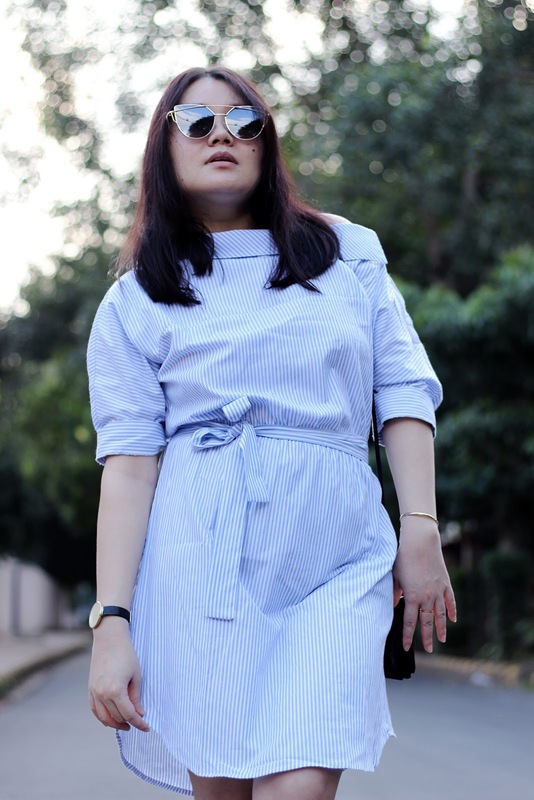 If you recall, I recently collaborated with SHEIN for an outfit post here and I was quite impressed especially with the quality of their product. So we decided to go ahead with another collab and style a piece from their store. I chose this dress as the vertical stripes, the collar and the buttons down the sleeve give the vibe of the backward shirt trend. So how do you like this look? Till next time, bye. You pull it off wonderfully with those shoes! This is so much more practical than a backwards shirt - I love the button detail down the side and the stripes and love that you've paired it with white trainers! You look gorgeous, dear. And love your shoes. Need to get that shirt for myself! 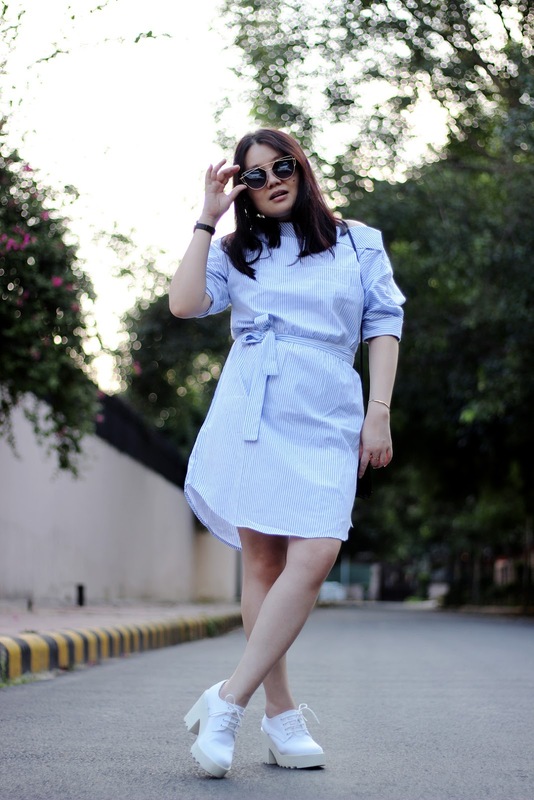 Adore this look - so fresh and effortless, you pull off the shirt dress so well! Love the look and those shoes are so cute! Such a cute and fun look! This dress is so unique, I love it!!! I adore the twist on it! I know this is a crazy trend, but somehow it works. People so this with shirts too. Love you pulled this. Tres chic! So cute in this outfit ! I love everything and I love very much your photos ! 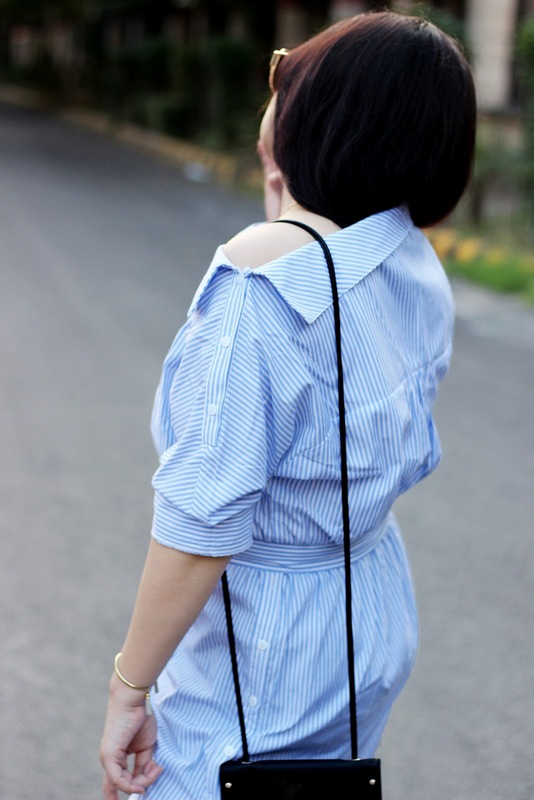 The backward shirt trend is quite fun and your dress is so cool. This is such a unique piece, and I especially love the shoulder detail! 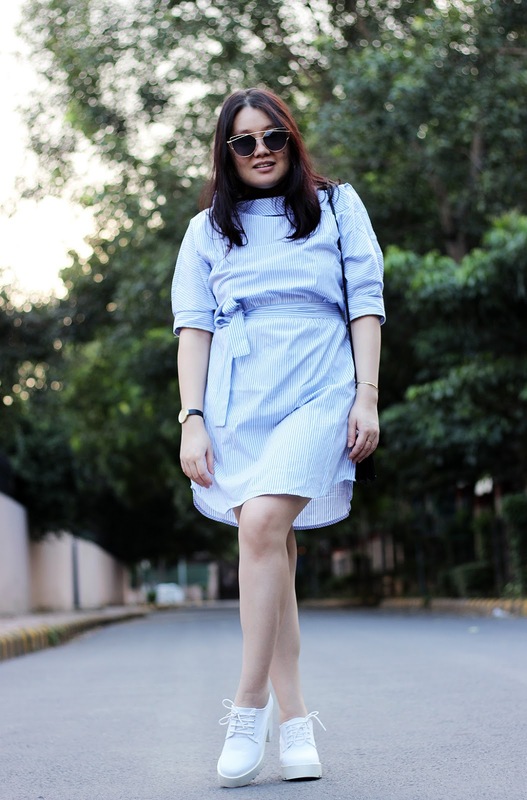 The way you styled this dress is gorgeous, and those sunnies make the look so chic! You look absolutely beautiful from head to toe, you totally rock this stylish and original look! Love the dress & those shoes are so pretty! Obsessed with shirt dresses! I love your, looking so pretty! such a cute outfit, especially love the shoes! Gorgeous dress, love getting creative with a classic shirt! Gorgeous look and photos dear, thanks for sharing! Wow! I love your outfit.